June 23, 2016: I was in Baltimore, MD. The fact that my week-long work trip coincided with Chris Cornell’s Higher Truth tour rolling into the majestic Hippodrome Theatre, eased the sting of being away from my family back in Boston. As I was brought backstage I nearly had two feet in Cornell’s dressing room door when I was greeted with the most sincere and cheerful “Hey Buddy” I have ever heard in my life. For the next 10 minutes, we sat on folding chairs and just talked. At times, Cornell out of his own good-nature would throw out compliments, and his words of encouragement still serve as a driving force behind much of my now purpose-filled mission. As showtime neared, we stood up and walked towards the corridor. Fantastic Negrito provided some beautiful background melodies through the walls. Cornell then gently puts his arm around me. With his right hand on my shoulder we stood in the doorway and spoke of planning an upcoming interview. Perhaps this is that chance. My experience was just another small example. Cornell was always so gracious, and furthermore, generous with his gifts of music. Like his voice, his influence remains multi-dimensional. Through the swells and breaks into the (super) unknown lies a foundation built on “genuine”. It’s there for you. It waits for you there, … like a stone. 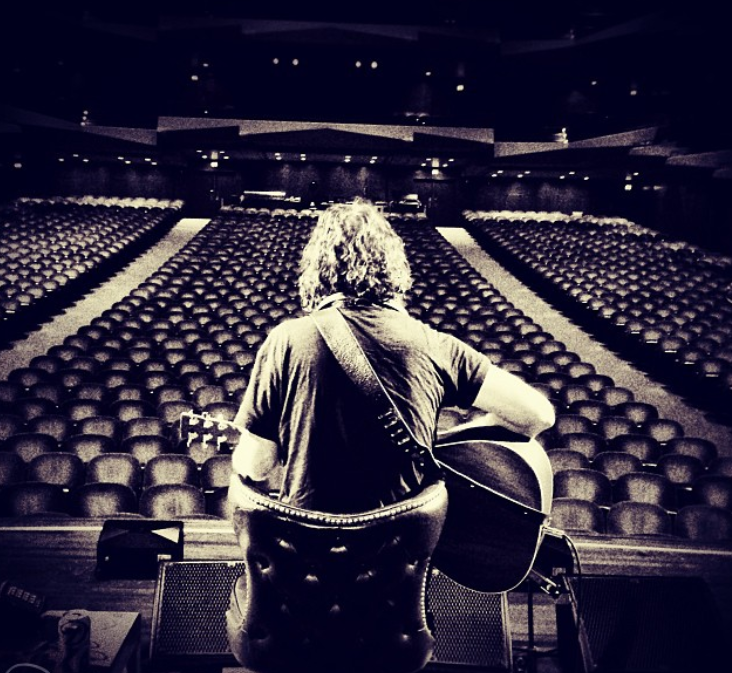 In that spirit, I have collaborated with 10 incredible artists here, who join me in discussing the immeasurable impact of the one-and-only, Chris Cornell. Chris Cornell naturally bridged two beautifully distinct personalities within the rock and roll canon for me. In my young estimation, it seemed that if a rock and roll musician had outward confidence and bravado (i.e. Robert Plant, Axl Rose), he was by definition dispossessed of any blue-collar punk rock credentials. Conversely, if a frontman possessed shy, understated, down to earth-ness (Kurt Cobain, Rivers Cuomo), he couldn’t possibly own his god-given right to shirtless, howling, chest-baring masculinity. Chris Cornell was the perfect combination of both extremes — masculine as hell, but not at the expense of a genuine sensitivity and approachability. His voice, as his presence, was at once powerful and dynamic…attached intrinsically to the growl of primitivism as well as the multi-tiered finesse of high art. Essentially, he had so many tools at his disposal, both stylistically and artistically, that to fit him snugly into a stereotype that was and is an impossibility. As both a writer and singer, his talents were almost beyond a need for discussion. As a musician, I was and am inspired by this man to be the best vocalist and communicator I can be, should the need for expression call on the quiet richness of an understated melody or the unfiltered explosion of a scream over a pulse of hypnotic riffage. Collaborating with Chris was obviously a dream come true, but that’s to be expected. Any opportunity to meet a hero of your youth, let alone to work with him/her, is a dream realized. Beyond that however, the time Scott and I had with Chris felt both surreal and normal. It took no time to get past the star struck inner-adolescent and get straight to the good part — the connection, the friendship, the music. I had the pleasure of knowing Chris for only about three years, but in that time, I learned some crucial things from him about music and life. The way he reciprocated respect and care for my brother and me was an honor that I will remember for as long as I live. My first legitimate rock concert was Soundgarden in 1995. It was mind-blowing for a 15-year-old. I remember Cornell and Kim Thayil changing guitars between every single song. I wondered why they did that. Now I understand. Performing with Chris on Jimmy Fallon’s Tonight Show was certainly a performance highlight for me. Standing toe to toe with Chris playing electric guitars together…I had the best seat in the house. – Favorite Cornell record and song (from anywhere in his extensive catalog). There were a small handful of bands in the early Nineties that really stoked my creative flame. Soundgarden was high on that list of bands that really made me want to write and perform music. I learned about them from my older brother and to this day, Chris’s voice is a reminder of that original spark! I am so happy that I got the little time with him that I did, most recently touring in Australia in 2015 alongside Faith No More. But probably my most fond memory of Chris was in 2003 when Audioslave and Incubus were on Lollapalooza together. We had a day off in some East Coast beach town and a bunch of the bands were staying at the same hotel. 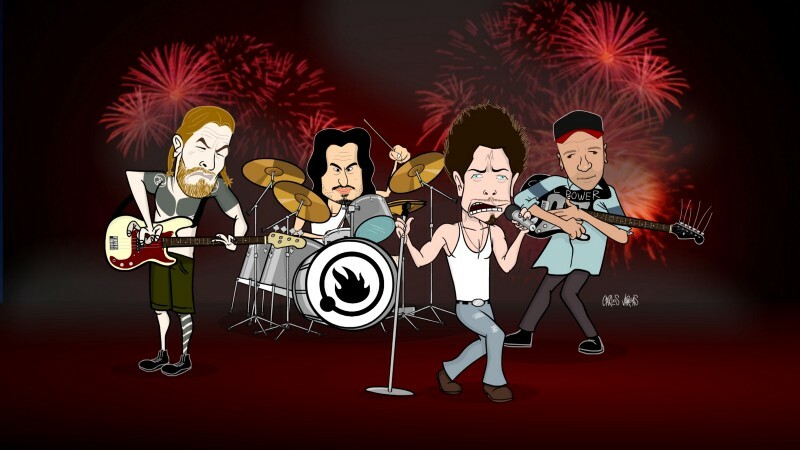 I remember being kind of intimidated by the Audioslave guys because they were comprised of members of two of my favorite bands growing up; Soundgarden and Rage Against the Machine. But Chris (as well as the other guys; Tom, Brad and Tim) was very warm to me and we spoke for a long time while sitting in the sand, both donning our killer studio tans. Everyone went swimming in the ocean at one point and I remember bodysurfing next to Chris as he boogie boarded. It was a humanizing moment for me with him because no one, not even Chris Cornell, can look cool being slammed into wet sand by the waves. It’s a gentle memory, but one that remains with me. I actually have a 35mm photograph somewhere at my house of he and I sitting in the sand together, pre-goofball boogie boarding. 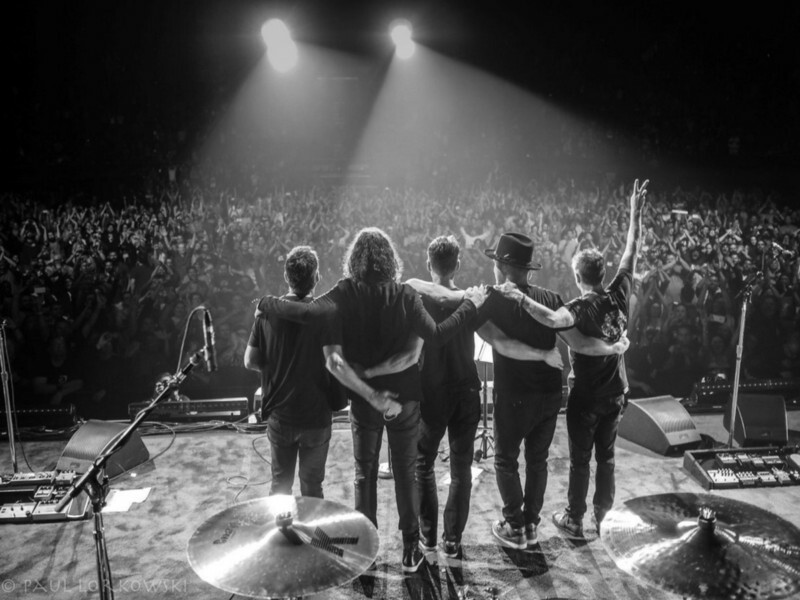 I saw Temple Of The Dog when I was 15 or 16 at one of the original Lollapaloozas here in Southern California. That was the first time I had heard him sing live. I recall being in awe of his voice and in a mild bewilderment at how a man could sing the way he did. As I am thinking about this, Lollapalooza and its permutations have had a disproportionate impact on my experiences in music. Both as an audience member and as a performer. Thanks Perry Farrell! My favorite Cornell experience is still Superunknown by Soundgarden. It’s one of my all-time favorite albums. It came into my life at such an important, formative time and I am forever changed by it. I know it’s partly and or mostly a symptom of aging, but I really do feel blessed to have been 17-years-old in 1994; music was in an incredible shift and my teenage/young adult brain was a sponge. I feel like I’m still filtering the influence of so many important bands and artists from that time. 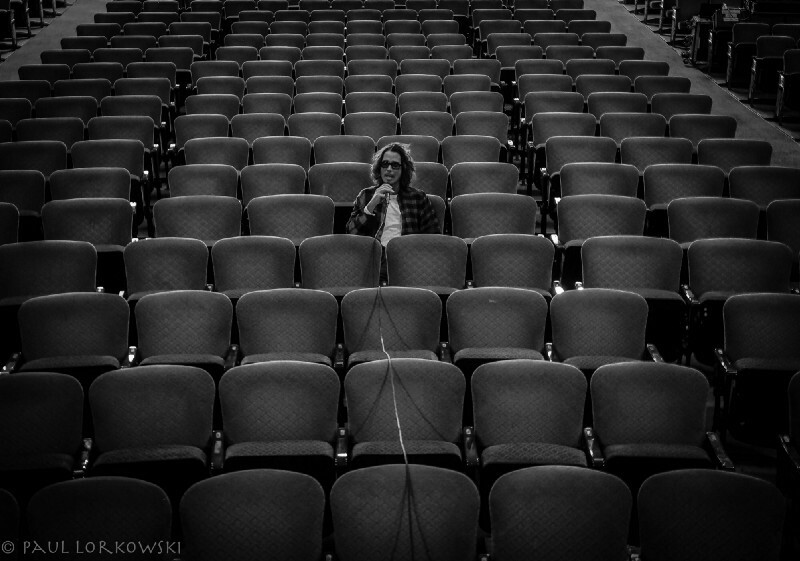 Chris Cornell being one of them. He is greatly missed, but I am so thankful to have known him, if even peripherally. When I first met Chris he said to me, “Man, I saw you on YouTube, you were playing in the street, and I just stayed up all night watching your stuff.” Mutual parties connected us and my name surfaced as a potential opener on his Higher Truth tour. I was kind of hoping I would not get the gig because I thought I was too roots, blues and edgy to be paired with the Rock God, Chris Cornell. But credit to him, he thought if you listen to Soundgarden and strip it down, you can find roots music there too. He had the vision and just knew. He was right. The first time I opened for Chris was in Oslo. I was nervous because people were sitting down. After my set, I went to the side of the stage and watched Chris. His body language taught me there was a way to do it, and then I realized I could do it. I can play to people sitting down now because of Chris. He was my teacher in many ways. He was also my biggest supporter. The greatest lesson Chris Cornell taught me was that no matter what position you are in, being a loving, giving person was most important. Aside from him being one of the best vocalists rock music has ever had, he was such a loving and giving person. He didn’t act like some big star. He’d come knock on my door each night and see how I was doing. I started calling him Christmas Cornell. Every time he would call me it would be something amazing. We went to Europe, I thanked him and told him how special it was. Then he called me and asked if I wanted to come open on the American run. 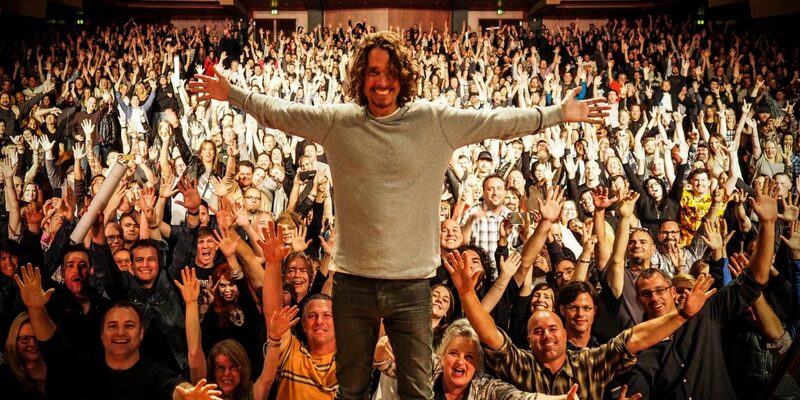 After the third time, when he called to open for Temple of the Dog, I immediately thought — “Christmas Cornell”. I’m the only band that opened for Temple of the Dog, it’s unbelievable and it was such an amazing experience. He’d always say, “you’re a force.” He had a heart of gold. I would go to shake his hand and he would hug me. Chris Cornell inspired me so much as a musician. His powerful vocal delivery was always mind-blowing and his energy on stage was electric. His rock ethic was iconic to me coming from this new generation of extremely innovative musicians. I never knew until he inducted us into the Rock and Roll Hall of fame that he felt shy around us for years. I mistook it for him just being cool and mysterious! He was a complex young man weaving between the highest and lowest mood swings. His temper was famous and his soul was tortured. I think there was never much he could forgive himself for and drove himself hard to be even more perfect…. I will always love remembering him and Eddie Vedder sparing and climbing all over each other on a few stages during Temple of the Dog songs. They were like kids frolicking together and having such great fun up there. There are so many great Soundgarden songs in the world but one of my favorite Cornell songs was his solo version of “Seasons” from the Singles soundtrack album. It shows just how much range Chris had as an artist, singer, player and writer. There was only one Chris Cornell in the world. When Soundgarden first started happening in the 80’s, being where I live in Spokane, it was so inspiring for a lot of young artists. We saw this band that not only was starting to get attention on a worldwide level, but they were really breaking new ground. They were doing something different and very important. Soundgarden was pushing it and really taking it to an entirely different level. Chris was obviously such an incredible singer, but his songwriting was so unique. His gift with words was really something special. He had a melodic sense and an incredible approach as a lyricist. It was dark and haunting. You didn’t know what he meant, but you knew it was something intense and compelling. I saw two of Chris Cornell’s solo shows. The one in Los Angeles at the Fonda Theatre really sticks out. His band was great, and of course so was he. An incredible talent. All of Superunknown. It is such a special record from start to finish. It was a shift in a lot of ways. It was dark, but incredibly smart. From the beginning to end, it’s a perfect record. I got a late start in music in my life. There was a transitional moment, as a teenager, when I remember going to baseball practice and hearing “Black Hole Sun” on the radio. At the time, I knew very little about music. It was one of those moments that stuck with me, and I’ll never forget it. Not long after this, I quit all sports and everything I was doing to learn how to play guitar. I haven’t looked back since. Chris’s impact on my life, as a musician, really took hold after we first met on April 30, 2010. We were brought together by mutual friends, who suggested I could fill a role Chris was looking to add into his solo acoustic performances. We met in a rehearsal room in Los Angeles. I showed up on time, and I waited for hours with no sign of Chris, haha! I kept being told by his management that he was on the way. And sure enough, he eventually showed up. I’m not the type of person that usually gets nervous about a performance and/or audition. But for some reason, Chris’s presence did that to me. Halfway through the first song, Chris stopped playing. In my head, I’m worried this just isn’t working for him. But he looks at me and says, “I’m sorry, I was listening to what you were playing, and it was so moving that I lost my place.” From that moment, I knew we had a special connection, and I was gracious for him putting my worries at ease. I was so excited to get that call to tour with Chris, which was literally about five years after we had first met. The timing was appropriate since he just finished recording Higher Truth, and he wanted to add someone to this tour in particular, to help bring some of his newer material to life in a live setting. Touring with Chris became so much more than just an opportunity to play with a once in a lifetime songwriter and singer. He also became a mentor. He was so gracious in all our interactions, and taught me a whole new level of understanding of live music then I had ever known. On another side, playing with Chris also gave me an opportunity to play in some of the greatest classical halls in the world. Places that any classically trained cellist would dream of, and few would ever have the chance of experiencing. I was always in awe that it wasn’t the classical world that brought me to the Sydney Opera House, Royal Albert Hall, or the Konserthuset in Stockholm (where the Nobel Prize is awarded). 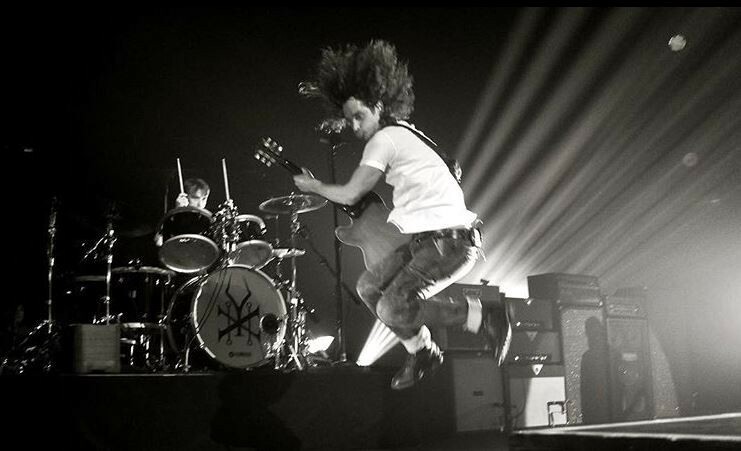 It was rock music — it was Chris Cornell. I’m truly indebted to Chris for every opportunity he gave me. Every single night, there were so many moments that stood out. I loved Chris’s sense of humor. Most nights, he would create some bizarre story about how we met. Or he would notice that I bought new shoes, and joke about it on stage in front of thousands of people. He was always poking in a funny way — he seemed to do that do people he liked. One moment that I will never forget is the night we played at Royal Albert Hall in London. We played a Zeppelin cover, “Thank You,” very frequently. Chris was introducing the song, and he was speaking about how nervous he was, and the guy that wrote the song was in the room. Jimmy Page stood up, spotlights scurried through the crowd, and everyone applauded with excitement. “Sunshower” — It’s such a powerful song. I’m sure it has helped thousands of people. Songs like this, I think, are a huge part of what drove Chris to create. Songs like this, last a lifetime. To me, Chris was one of the greatest singers in the history of Rock n’ Roll. He had this incredible gift of displaying emotion no matter if he was singing softly or screaming. He was always on point and in tune. I love his music, but the amazing thing was I was lucky enough to have become close friends with Chris. He had an incredible heart. He was always there for musicians. 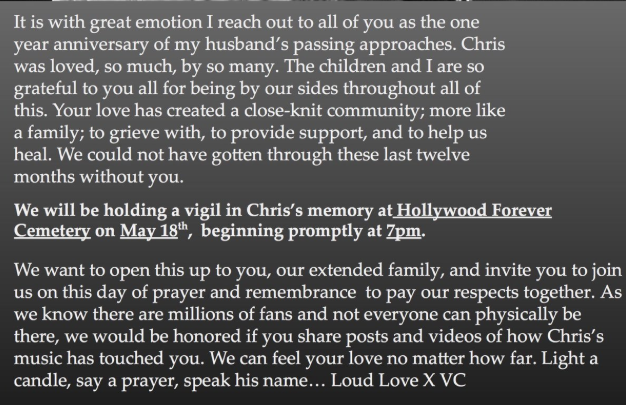 For other bands and people that looked up to him, Chris would give them the time, he would talk to them, and he would help through tough times. He was such a great guy and a great friend. He really cared. 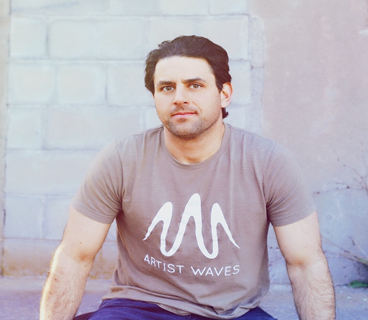 We would call each other almost every night when he first got sober and was out on the Lollapalooza tour with Audioslave. We would be on the phone for a while. That’s just one of many times that he was an incredible guy to me. We were both very emotional people. I loved him with all my heart. A guy that writes songs like that and can sing with such meaning — you know there’s something deep inside of him. 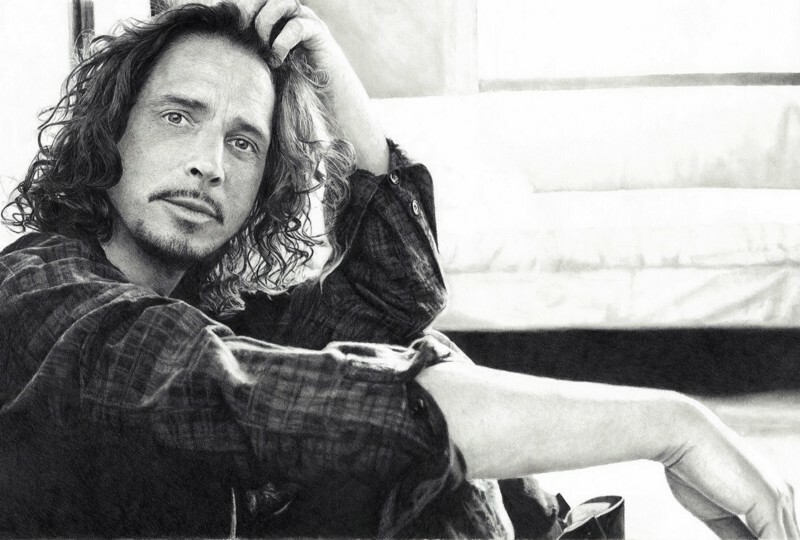 The thing about Chris that was so amazing was, when you listened to demos of Soundgarden or Audioslave or solo, they were completely realized. Take “Spoonman” for example, with all its changes, when you listen to the demo you can tell he had already figured out exactly what he wanted the song to sound like. That blows me away. It goes to show you how incredibly gifted he was. 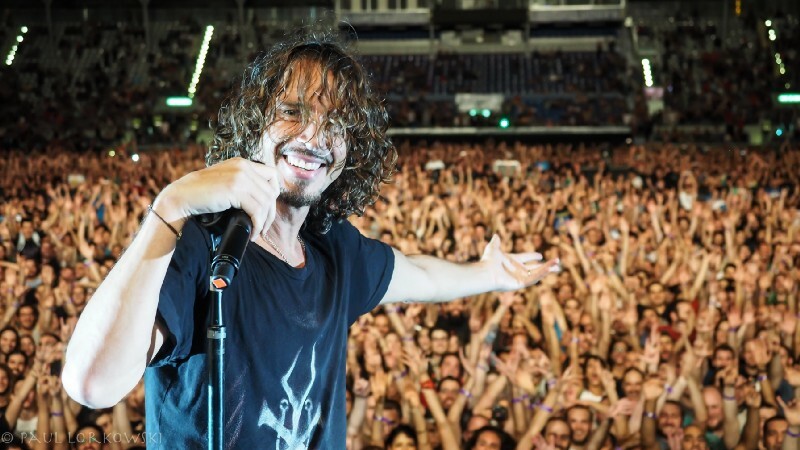 I saw Soundgarden at least 25 times and Audioslave about 10 times, but what I want to say because of how much the world misses Chris, my favorite show ever was the last one I saw him do with Temple of the Dog in November 2016. I remember being so tired from doing the morning show in San Francisco. I almost missed the first night, I got there just in time. It was incredible. All the songs from the Temple album, plus the covers, it was an unbelievable show. I was so excited they decided to reunite and tour for the first time. I went two nights in a row and it was one of my favorite experiences of my life. “Seasons” and “Fell on Black Days”, which I think it’s one of the most beautiful songs ever written. I just really liked Chris’s sound. I loved his voice. It was an honor to create (Scream) and blend his sound with my sound. The main thing that inspired me about Chris Cornell was the lyrics that he chose and the fact that he was always making sure he was honing his craft. Early in my career, I worked with Michael Beinhorn, who produced Superunknown. To be able to talk to him about the process of making that record and working with Chris was an experience I will never forget. He told me this one story that I found to be so authentic. Soundgarden was about half way through the writing process and one-day Michael asked Chris randomly if he ever listens to Frank Sinatra. Chris said, “not really.” So, Michael went to a record store that evening and got everything he could find on Sinatra and gave it to Chris the next day. He told him he just wanted him to listen to how he sings and how he draws you in with his voice. A few weeks later, Chris came in and said to Michael, “I think I have something, I’d like to play it for you.” He sang him the first line to “Black Hole Sun”. 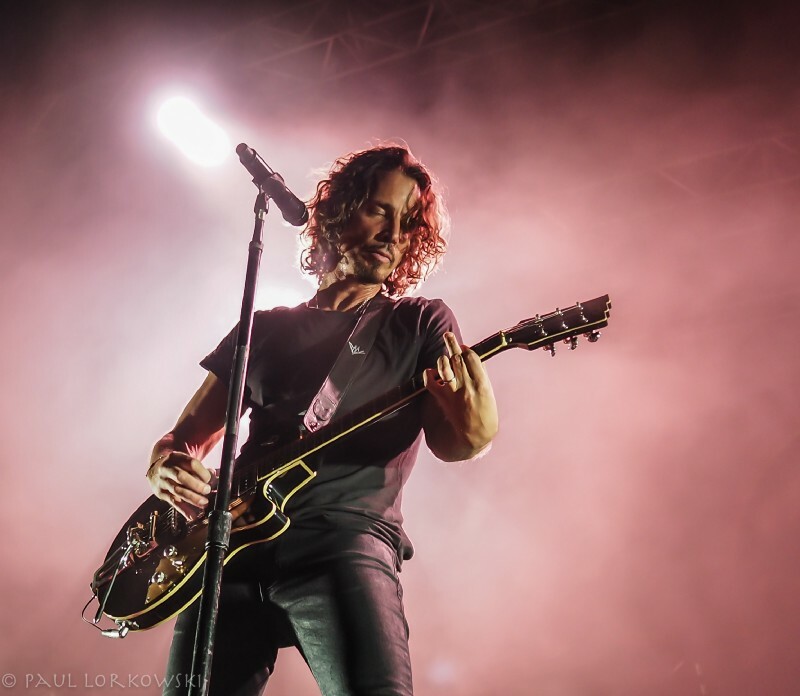 To me, that song sounds like Chris is beautifully crooning just like Frank Sinatra did — the accents on certain syllables, the way he goes up and then back down in the melodies was a very different style in terms of Soundgarden. Even at that point in his career, he was still taking advice. A legendary song was born out of it. I got to see Chris on his solo Euphoria Morning tour at a small club in Nashville in front of about 50 people. I was right up front, and he was incredible. I also got to see him at Lollapalooza in 1996. It was rad, the sky opened, and all hell broke loose. It started thundering and lightning, and the band didn’t leave the stage. They broke into “Jesus Christ Pose”. “Black Hole Son” — it’s what I think of with Chris, and how incredibly inspiring that vocal track is. 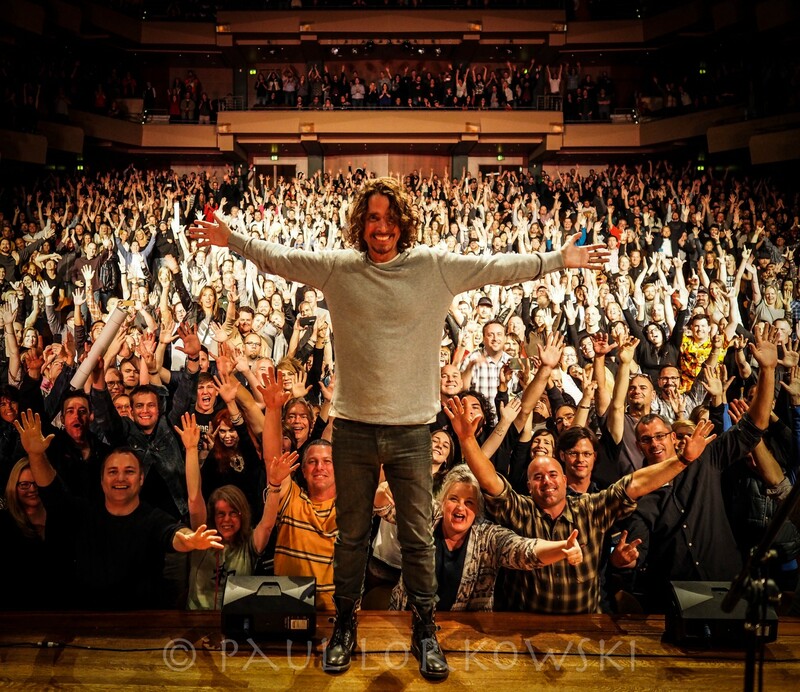 I had the great fortune of seeing Soundgarden, Audioslave and Chris solo, including the Songbook tours. Each show was the best I’d ever seen. “Blow Up The Outside World” — it has everything. And gets me all the way through … every single time. The last song I ever heard Cornell perform was “Higher Truth” in Charm City… appropriate. Prior to strumming the opening D chord he simply said, “This song is for all of us,” as he wrapped up his point about living in the moment. The night ended with Cornell looping his voice, allowing it to arc through the theatre, perfectly claiming its place within the walls of artistry. He raised his arms in the air, smiled, shook hands with the front row, smiled some more, and waved goodbye.